The Woodlands is covered in thick lumber and greenery. It’s hard not to stumble on forestry while in the area. When land clearing, this forestry can cause tricky complications. Especially since it’s likely to contain obstacles such as abandoned vehicles or squatters. Luckily for the highly skilled land clearing machine operators of Texas Ace Land Clearing, these obstacles are often apart of an easy work day. With decades of land clearing experience under the belt of our trusted machine operators, we are more than equipped to handle anything standing in the way of you and your cleared lot. With the wide variety of trees scattered across the 28,000 acre master planned community, land clearers are likely to have to issue the use of various tree removal, thinning, and trimming equipment to get the job done. Unlike most land clearing companies will inform you, high quality equipment does not always mean a high quality job. Skilled land clearers are just as essential of a component to the perfect land clearing service as the equipment it carries. Our tree removal, thinning, and trimming service is often an inclusion in the jobs we handle in the woodlands area. This service does not slow down the efficiency of our crew in having your lot cleared and cleared fast. Whether your goal is to use the land as a farm, your home, or a business building, at Texas Ace Land clearing we’ve seen and done it all. Entrusting us with your land is the first step in making that wise investment in your new Woodlands lot. And other services like so. Place your land in safe and efficient hands with our skilled Woodlands land clearing machine operators. It is common for land clearing companies to promote the idea that all you need is valuable, high quality equipment. Our land clearing crew operates with exceptional communication, dedicated work ethic and skill that adds value to the machinery we use in our lot clearing projects, no matter how big or how small the land. Whether you have a 100 year old tree stump that you want removed or you just want clear, untouched looking land to work with, Texas Ace Land Clearing services has every acre of the Woodlands covered. You don’t need to look too far for land clearing in the Woodlands that you can entrust your valuable land to. 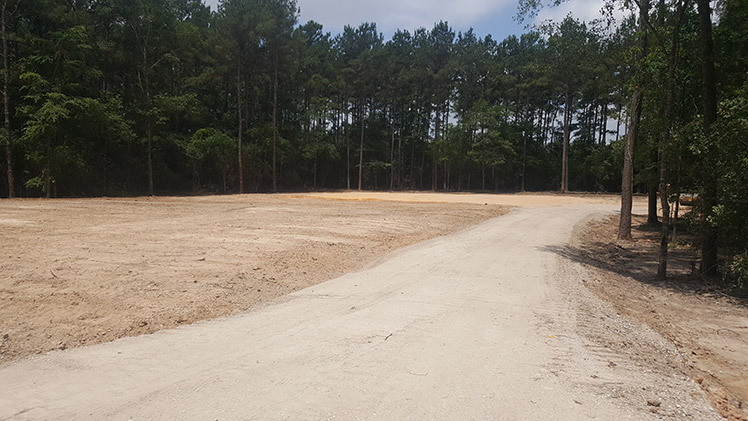 At Texas Ace Land Clearing, we provide lot clearing tailored to your specific needs, and we have your Woodlands land ready to be built upon in whatever way you please in no time. If you have any questions regarding our land clearing services for the Woodlands and surrounding areas, give us a call today.